Getting diagnosed with fibromyalgia can be a terrifying moment. There is a lot unknown about this condition, especially how one develops it. However, we have some news that may ease your worries. Chiropractic care could be a solution to aid in the pain associated with this difficult condition. We, at Abarr Lake Chiropractic in Loveland, want to help anyone we can with their pain management. Unfortunately, there is no cure for fibromyalgia but there is a way to help with symptoms. Our chiropractors are skilled and up to date with the best techniques, and our staff is friendly and passionate about getting you the relief you deserve. Fibromyalgia is a chronic condition where there is pain throughout the whole musculoskeletal system. This causes the body to reel in pain and sensitivity at most times, which would be uncomfortable for anyone. Pain is not only associated with the disorder, but you may experience extreme fatigue, trouble sleeping, and mood alteration. Also, when one is diagnosed with fibromyalgia they are likely to inherit some other conditions such as IBS, TMJ, or autoimmune diseases. There is no pinpoint cause for this condition yet, but there are many theories that come into play. There are so many different symptoms associated with this disorder that scientists are just unsure what could be the one main cause. There are theories that it’s brought on by lower serotonin levels that attribute to the threshold of pain. Fibromyalgia is much more common in women, so there is another theory that suggests that it’s from biochemical or hormonal changes such as menopause. It also could possibly be a genetic disorder that is passed from mother to daughter. Unfortunately, though, these are all just theories and not a direct way to predict the onset of fibromyalgia. Consulting with a chiropractor in Loveland can do wonders for your symptoms related to fibromyalgia. Chiropractors believe that if things such as the spine, bones, ligaments, muscles, or joints aren’t aligned or performing the way they should, it can affect your whole system. Our chiropractic care can help get back the balance your body needs by using adjustments specialized for different parts of the body and spine. 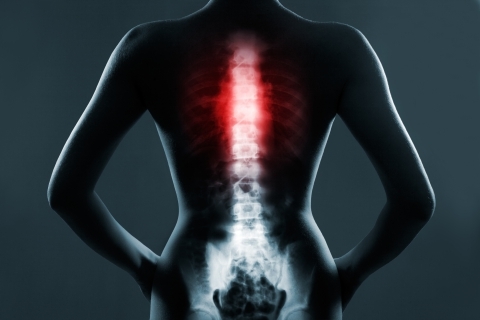 Many fibromyalgia patients suffer from widespread pain and this can be caused by upper cervical spinal stenosis, another condition associated with fibromyalgia. This is when the upper part of the spine is compressed, causing discomfort all over. 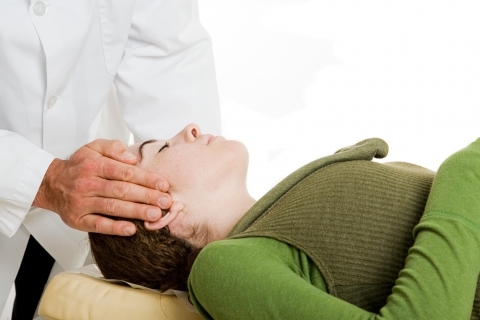 A chiropractor can adjust the body in ways so that this pain is relieved by specific movements for the neck and head. Anything that can be done to help relieve pain is encouraged for the patient. Not only does our chiropractic treatment help relieve the extreme pain associated with this condition, it also helps with other symptoms such as sleep and fatigue. Fibromyalgia is a tough condition to process and is one that can be very debilitating to everyday life. Being in extreme pain makes you feel fatigued, and that any task is daunting, even something as simple as getting up and down the stairs. Our chiropractic care in Loveland at Abarr Lake Chiropractic can help your symptoms so that you can have some relief. We want to make sure you are doing everything you can to help your condition, and we can help you get your life back. Our staff is skilled in different techniques of chiropractic care and we will take care of your specific pain needs. Call us in Loveland if you are suffering from fibromyalgia and we can help you feel like yourself again.